We don’t condone rutting out trails when it’s pouring cats and dogs, but if you find yourself caught out, having the Deflect™ H2O Mountain Active Shell Jacket will get you out of a jam. The solution to this problem all starts with the materials, which is why we selected the venerable Gore® WINDSTOPPER® Active Shell for the construction. This woven fabric rests at the pinnacle of active weather protection, boasting equal parts breathability and wind resistance. And furthering these features, the jacket includes front venting pockets, hook-and-loop wrist closures, and watertight, coated zippers throughout. To keep water off of your head, the jacket also features a three-panel hood with a rain visor that easily fits under your helmet. For protected storage of all your goods, we included a zippered chest pocket, as well as a SWAT™ pass-through pocket at the rear. 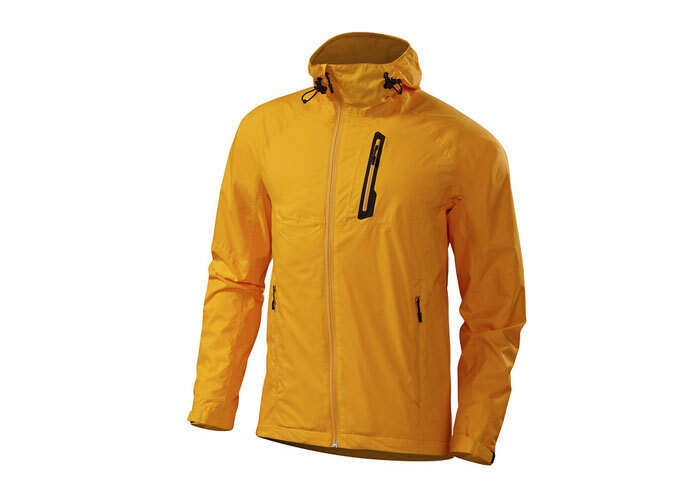 Gore® WINDSTOPPER® Active Shell is woven for strength, it’s wind- and water-resistant, and highly breathable. A mesh lining has also been added for next-to-skin comfort and additional moisture wicking. One zippered chest pocket, front venting pockets, and a back zip for internal SWAT™ pocket access provide ample room to house all of your ride essentials and electronics. Watertight, coated zippers prevent water from seeping in. Three-panel hood with rain visor and adjustable drawcord keep your head protected from the elements. Adjustable Velcro® wrist closures prevent wind and water from entering the jacket via the sleeve openings. Adjustable drawcord hem allows you to block-out the elements and dial-in the fit of the jacket.